Yesterday I spoke about our return to Milne Bay after 41 years. Today I wanted to share some of our personal highlights, and the ensuing memories, with you. Like two excited two-year olds we waited for the plane to take us back to Milne Bay. Despite a flight delay, the excitement and memories didn’t abate as we landed at the much-improved Gurney airport with its formal building – so very different from the bush materials place we knew “before”. Initially I’m going to tell you about the people we met and later about the places, so hop on to share our journey. The Festival dances and canoe races will feature on Flickr or Tropical Territory when I get them organised. The old familiar, gentle handshake of Papua New Guinea, shared by almost everyone you meet along with an exchange of names. I love this image of the young boy enthralled by his cultural heritage. Where the taxi drivers introduce themselves, even on a short trip, and on learning that you had once lived in their town take a real interest in who/how/when/where/why. Where the lodge staff quickly learn your name and are ever friendly and courteous even though incredibly busy with the festival. Where an accidental interpersonal collision (due to me being preoccupied looking at something) results in a “sorry aunty”. Where the local people will make sure you get a good view for your photo or tell you about the dance group, and really care that you’re having a good time. 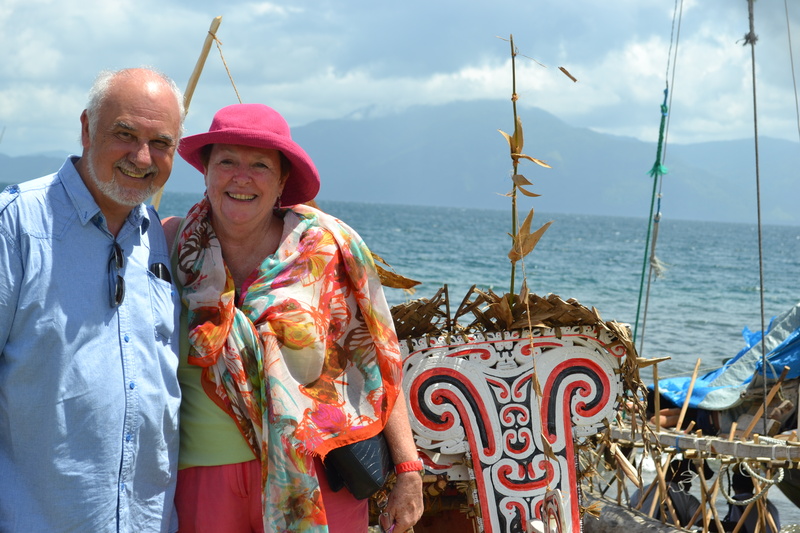 Who wouldn’t love Milne Bay? Where you can have an extended chat with a carver from a distant island who has come to town to sell his hand-carved artworks…a man who is a mechanic in another part of his life. Where the churches are packed on Sundays with those educated by missionaries of various denominations. Where people willingly invite you into their homes and gardens when they know you used to live in their house. Milne Bay is the answer to all these questions. Very different from PNG’s well-deserved reputation in other centres, Milne Bay people remain as friendly and courteous as they have always been. We never once felt even slightly unsafe. 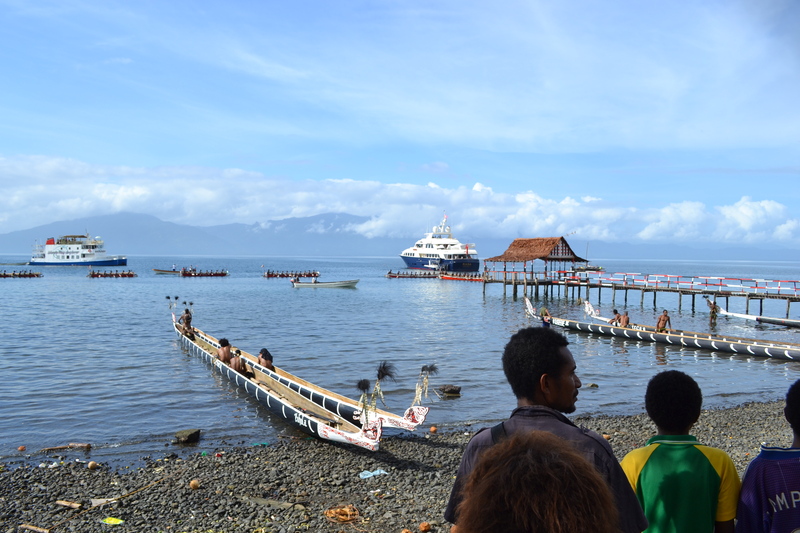 Milne Bay: where tradition meets the 21st century and everyone enjoys the spectacle. Where the “meet and greet” man for the fancy hotel launches into Pidgin when he knows you once lived in Goroka and treats you like a wantok (relative), introducing you as such to the security guard on the gate at the international terminal. Mr Cassmob silencing the hotel bus (including an airline pilot) with some comment about flying on a QANTAS Empire Airways Sandringham flying boat in the 1950s. In Alotau we stayed in a place called Napatana Lodge and one of its strengths was its staff while the other was the opportunity to make new friends in the open bar/dining area/informal lounge. 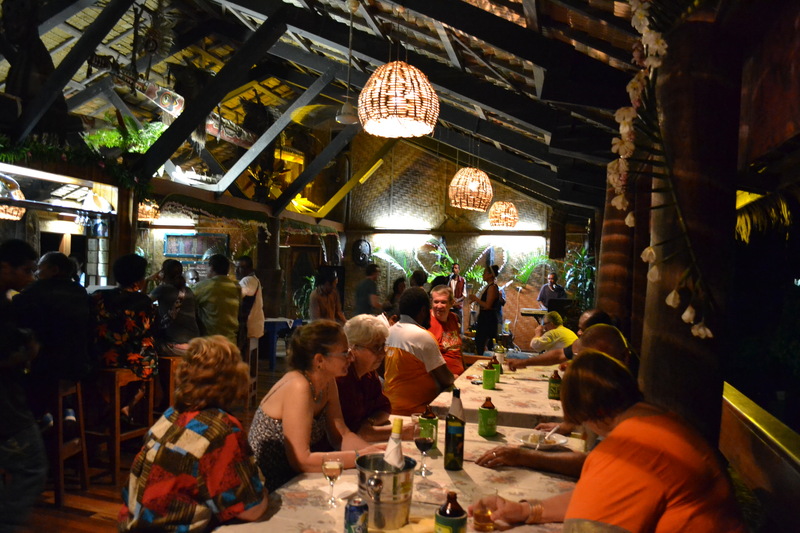 A vibrant and enjoyable Friday night social dinner at Napatana Lodge in Alotau. We had barely arrived when we headed to the lounge for a cold drink and some lunch. Another couple were already there and greeted us. Further enquiries revealed that John and Judith had not long arrived, but also that Judith and Peter had known each other as children on Samarai where her father had been the District Commissioner! How amazing and what great exchange of stories and memories took place. A highlight of our holiday! 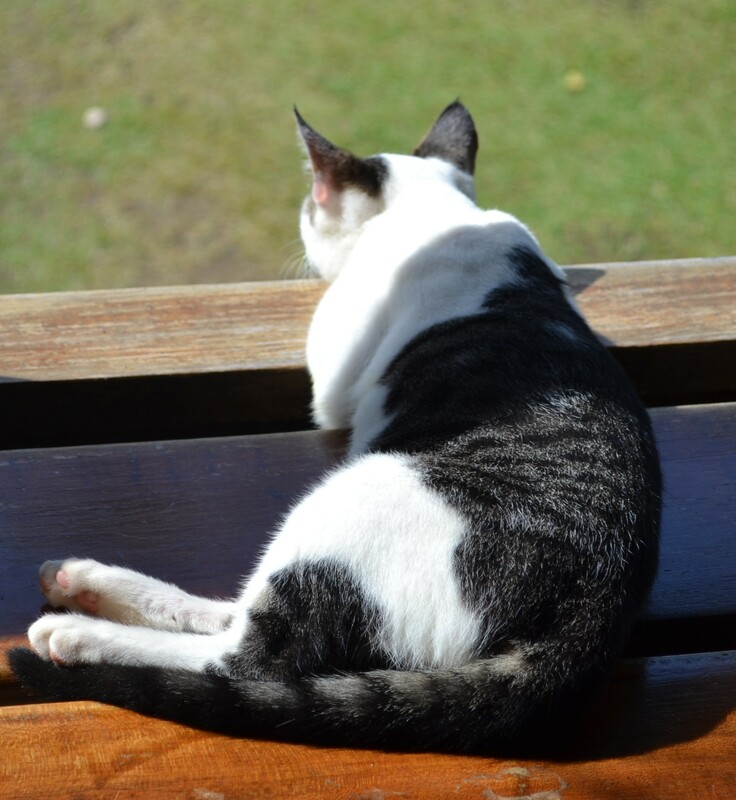 A contemplative cat in the sunshine in the haus wind guest lounge. Thanks to Judith’s discussions with one of the Lodge cooks, Diana, we learned about another family connection. Diana comes from an island called Logeia off Samarai. She remembered that when she was seven, Mr Cass (THE Mr Cass, not Mr Peter Cass as he used to be known) had come to the island to do a formal inspection of her mother’s teaching. Les had a pretty formidable reputation so this seems to be why it stuck in her mind. Diana and the kitchen and bar team also set out a wonderful spread for dinner each night, including beautiful floral and fruit arrangements. The atmosphere at the Lodge was just so companionable. 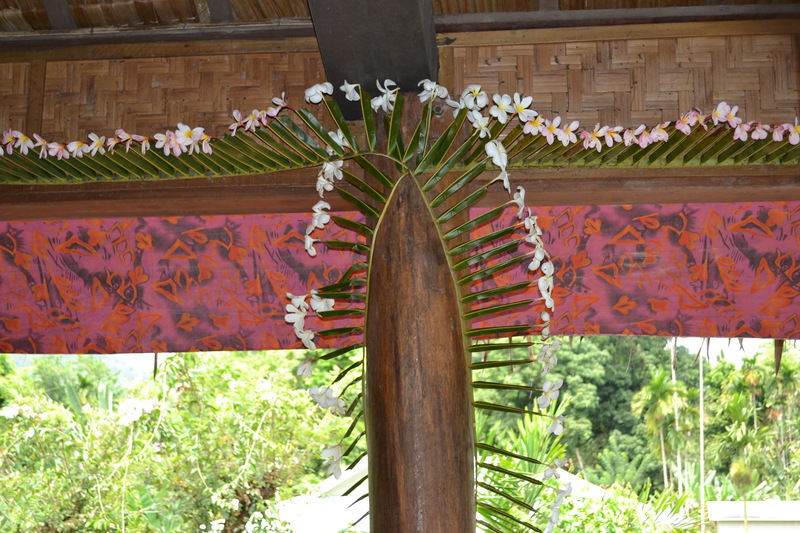 Hours of work to create a tropical ambience with frangipani and palm fronds. The connection with Diana also led to calls to Samarai where we met two men who had been in my brother-in-law’s class and taught by Peter’s mother. Mr Cassmob also met another of the guests who he’d last known through work in Goroka: truly it can be a small world. We also met other sets of people from a variety of places and heard about their travels and where they’d visited: all very interesting with fascinating stories (Hello to Kim and Lyn, Andrew, Ian and Anne,and Phil). Because we were attending the Festival and most of us were photoholics, we kept tripping over each other either at the Festival site or at the Alotau International Hotel where we’d migrate for a cold beverage, lunch, and a rest-room break during the day, because it was the closest venue. 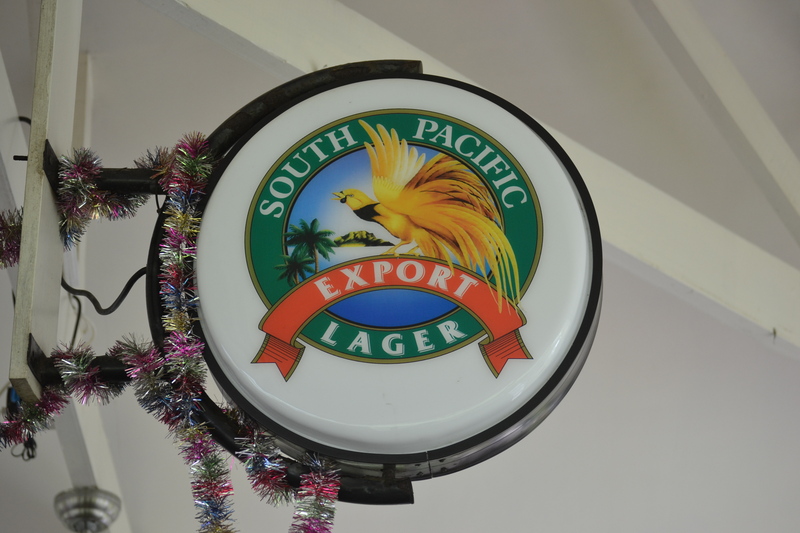 There were a number of chilly South Pacific export beers enjoyed over the hot days of the festival. Jeff took us on our boat trip to Samarai and he and Mr Cassmob had much to talk about as both had lived there around the same time (including reminiscing about picking up fresh loaves of bread and picking out the centres). As we walked around the small island we met others who wanted to know why we were there and what we remembered of the place. My memory was sketchy as I’d only had a couple of brief visits years ago but of course it was like an old movie for Peter. Sadly, but perhaps not unexpectedly, the family’s house no longer survives, but we were able to admire the wonderful view they’d had to the government wharf and over the water to Logeia. We knew that the island was a shadow of its former self when it was a thriving government and shipping hub so were not shocked by the ghost-town aspects of some areas. 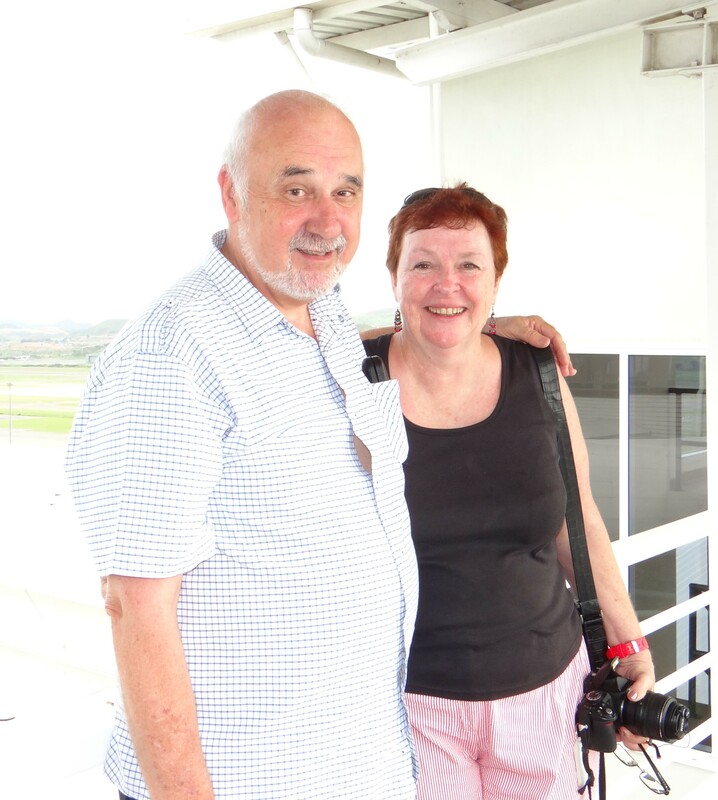 Mr & Mrs Cassmob (aka Pink Hat Lady) enjoying every minute of their return to PNG…and (mostly) avoiding sunburn. 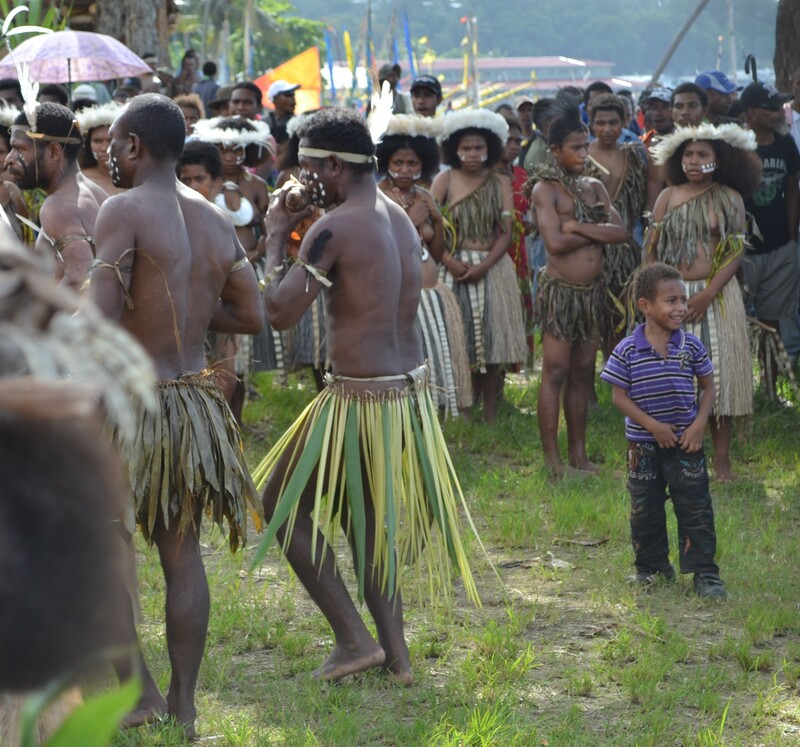 One of the aspects of Milne Bay which we noticed is that it is no longer one homogenous ethnic group. 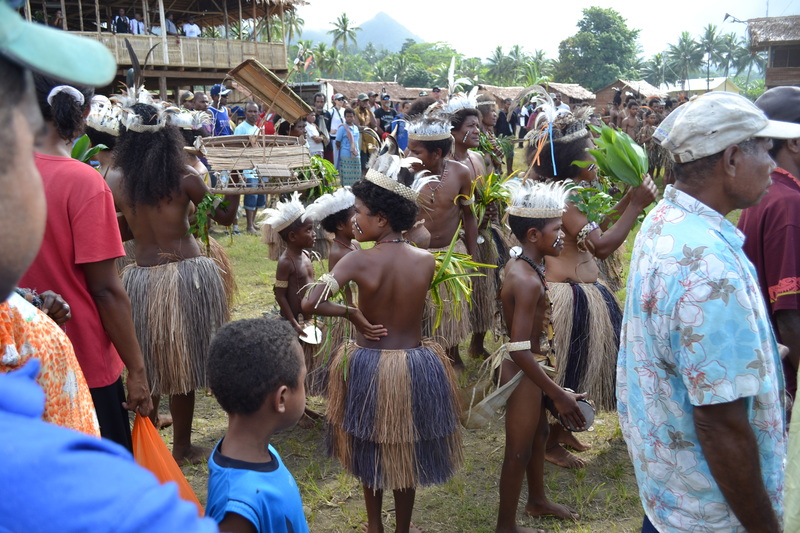 Workers have come in who were born in other provinces, and some have married Milne Bay people. You have probably gathered just how much we loved being back in this wonderful place, and how much the people added to that enjoyment. I’d love to include images of the friends we made but without permission to publish I haven’t added them here. This entry was posted in Cass family history, Catholic family history, Family History, Papua New Guinea, Papua New Guinea and tagged Alotau, Cass family history, Milne Bay, National Kenu and Kundu Festival PNG by cassmob. Bookmark the permalink. I have a “now & then” photo combo I want to put up in due course;-) Time has wrought a few changes…. 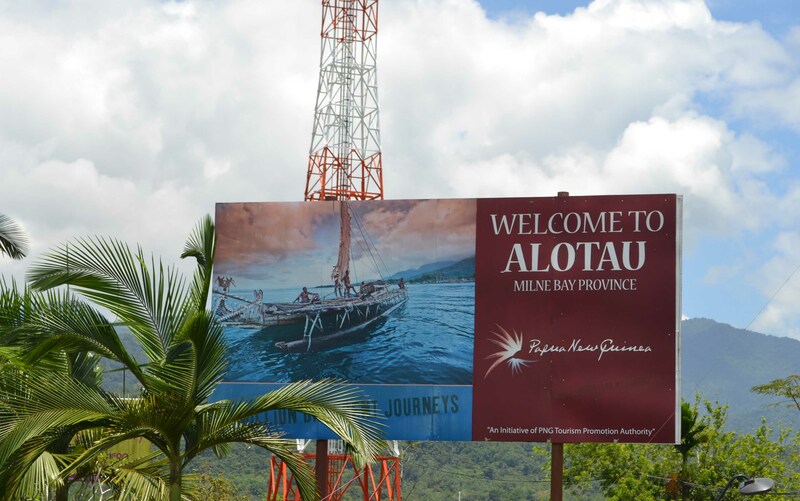 Thankyou Pauleen… I so loved hearing about you, and Mr Cassmob’s, trip back to Milne Bay and what life is like in that part of the world in days gone by and nowadays. How wonderful to meet up with John and Judith… also Diana and others… and be able to share the memories. Thanks Catherine, it truly was a special time and I’m sure we’ll long treasure the memories. I think our meeting was also very special for Judith.